Anyone today can design fonts simply because the tools are available. But the software can't guarantee that the result will be good typography. 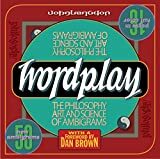 Wordplay: The Philosophy, Art, and Science of Ambigrams by John Langdon explores the world of visual "puns" and typography that can be read in extraordinary circumstances! Well worth owning! Ah, technology. With all the choices it gives us multiplied by the immediacy of connection, we are inundated with a steady assault to the senses. It can be overwhelming, offensive -- even debilitating. We use sorting tools everyday to protect ourselves from the bombardment of information. Filtering is a life raft in the sea of info-consumerism. Effective communication is the antidote to drowning in this chaos. Our job as designers is to filter for better communication -- and most of us strive to do it well, besides the fact our clients expect it of us. Design is the act of selection and refinement of that selection; immensely important human skills that allow us to sort the better from the mundane and further perfect it. Refinement is another matter. This takes a bit more effort and is just as essential to our job. If you don't do it as a designer in the communications you create, the end recipient will and without a second thought. Students of design should understand the basics, starting with good typography. Visually clear and appropriate styling to communication always works well. Throwing creativity into the mix provides a compelling reason to pay attention. The literal written word (as opposed to the idea behind it) can be as creative as any piece of artwork -- even rising to a stunning beauty that communicates quite effectively. This gives character to typography. Beauty begins with simplicity. The classics are such in any medium because they underlie a reliable and consistent balance that reflects balance in the universe. The premise of good type design rests on elegance, the state of almost -- but not quite -- austere beauty, with no extraneous noise. There are a handful of classic type styles (though through the years there have been many variations on these fonts under other names) whether serif or sans serif, decorative, script or casual. Font families like Bodoni, Helvetica, Trajan, Times Roman and Century, to name a few, were designed through many hours of experimenting with the selection and refinement of strokes. Classic typestyles such as these lay the foundation for inspired and creative expansion. Creating typographical interest, just as in graphic design, often consists of juxtaposed compliments -- also known as opposites. Mixing a simple font with an ornate flourish is an example of this and it works well because the familiar is being combined with the unexpected. Commonality makes a connection with the audience, and the addition of the unexpected twist on that connection is very engaging to us. It reveals an always present but usually invisible truth. This is why jokes work and is what gives the punch line its punch. What has worked in story telling throughout human history works for design: a balance of commonality expanded into a creative, but connected, variation. But too much variation gets tuned out, just as redundancy does. Anyone today can design fonts simply because the tools to do so are available. But the software can't guarantee that the result will be good typography. Many of the edgier fonts just keep pushing up the volume until nothing makes sense. We push experimentation out the door before refinement has occurred. We shouldn't do it just because we can. And what's the rush? Obviously there are real deadlines, but so much of the immediacy is manufactured by technology. A little white space and a few minutes, please! I gravitate towards white space and refinement whenever possible. This seems particularly necessary today to mediate so much information junk yelling over itself to be heard. The most common issue I see in the classes I teach is the very human tendency to overdo. Too big, too much, too full, too loud. Many inexperienced designers don't understand such important principles as letter kerning, visual balance, and how to effectively mix fonts and type sizes to support a concept. After a few tentative ventures into typographical balancing acts, one can begin to incorporate simple graphic elements for very interesting results. 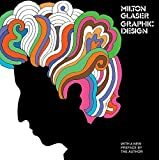 Though there is usually appreciation for good design, there are not many who can create visual communications that flow forth with seemingly effortless grace. Making it look easy is, in most cases, brought about by endless hours of experimentation. Elegance takes time. Chaos does not automatically refine itself; it takes interaction to weed out the unnecessary parts, and it takes time to try things on and take them off -- processes that are common in nature, but not well supported in the age of "My Way, Right Now". Modern culture disrespects natural processes because they entail the risk of lost time and energy. Sometimes you have to toss it all and start over. This has never bothered nature, in fact, she'd be a little lost without the culling and refinement process. In nature, an unexpected deviation can lead to a significant evolutionary trait. We forget how many 'brilliant' discoveries our species has made accidentally. Taking the risk to pursue refinement almost always leads to something interesting, even if it wasn't what you set out for in the first place. We too often choose the shortcut, ultimately short changing ourselves. Even the language of our technology belies our insistence on making things comply: the Command key doesn't deliver immediate perfection and there is no "Patience" help desk conveniently included with technology. We can approach from a more sensible direction to design. We could follow nature's lead by taking the time to explore and experiment with the character of typography. How it naturally fits gives understanding about how it can be expanded into the patterns that directly connect to the communication it represents. There is nothing easy about simplicity, but it is very worth the effort. Once you start to get the hang of it, it's very hard to go back to chaotic ignore-ance. Come to think of it, we might also apply this approach to our daily lives for a more "sense-able" existence.